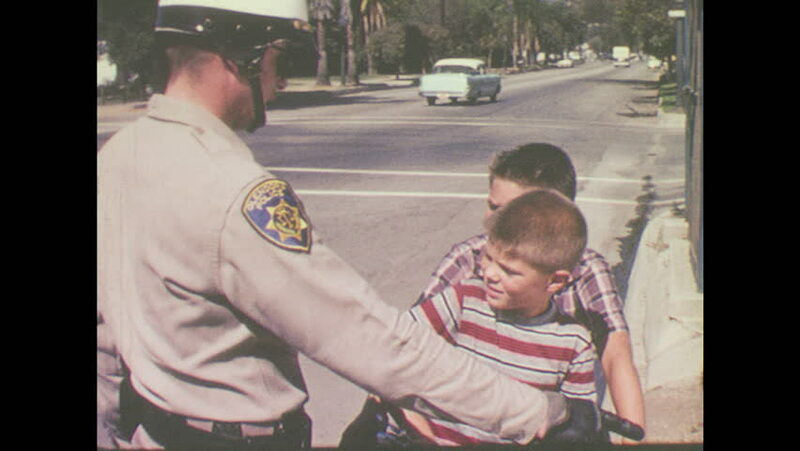 1960s: Motorcycle policeman lectures boy on Schwinn. Boy nods and smaller boy gets off handlebars of bike. Both boys watch the policeman walk away and get back on his motorcycle. 4k00:14DETROIT, MICHIGAN 1961: two beautiful babies wearing hats. hd00:121970s: President Harry Truman speaks at podium. Flags wave in wind. Men sitting in chairs. hd00:07mans hairstyle. Barber cutting hair with scissors and comb on September 29, 2013 in Sirvintos, Lithuania. hd00:15UNITED STATES 1960s: Man on ground, zoom in on man's throat, medic breathes into man's throat. hd00:59Caucasian woman pilgrim stands and looks up at a sacred banyan tree, smooth tracking shot rotates around her then tilts up to leaves and branches in sky, 4 X slow motion.